Whatever your blood type, did you know you can fight high blood pressure by creating a diet that is complementary to your type of blood? 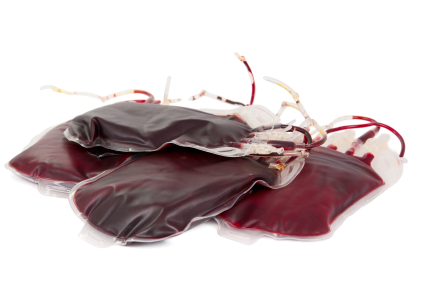 Your blood is the key in unlocking the mysteries of your health, longevity, and diseases. The key to your entire immune system. Blood is magical, mystical and we cannot exist without it, literally or figuratively. You were born with a specific set of biological make-up. It is this genetic substance that is your foundation - your entire existence. This make-up also tells how susceptible you are to certain diseases. It is how your body respond to foods. Purchase Dr Peter D'Adamo's book on Eating Right 4 Your Type. It covers all four blood groups and will help you to find the path to wellness and away from a trail of disease. You have heard of babies unable to tolerate certain formulas, well it is all part of their genetic make-up. The genetics of your blood influences your body's cardiovascular system and the antigens within your blood, also your security system, capable of destroying intruders from your body. These antigens are so sensitive that when they are operating effectively create Antibodies to protect your body from all foreign antigens. Your genetic make-up is the foundation of your whole life. It is so important that Gene therapy is now being considered as a way of treating many diseases including high blood pressure. Blood Types - O, A, B, or AB is your own powerful genetic fingerprint; and when you eat according to your type you will naturally reach your ideal weight, be healthier and able to slow the process of aging. Type O is the oldest and the most predominant. Os diet plan states that you eat a lot of meat and more. It also list what foods you should avoid. I am Type "O"; originally from the Caribbean so my diet is heavily influenced by a lot of meat. And because I also have to manage my high blood pressure I have recently incorporated Dr. Peter D'Adamo's Cardiovascular Disease: Fight it with the Blood Type Diet book, which I urge you to purchase, into my lifestyle along with increasing my exercise program. My goal is to do it for at least three months and see what happens. I make sure not to focus on what foods I should avoid but mainly on what I can enjoy eating. So far it has been working for me. Having energy, being healthy and feeling fit are my biggest motivator. Just being vital in my daily life is such a gift that I want to continue on this path and I am sure in time I will not miss anything. As you know high blood pressure affects your heart but researchers now states that most common forms of heart disease is not a result of your heart wearing out. But, rather from a breakdown in the nutrients you feed your body; and the lack of certain nutrients is usually the result of diseases in your arteries. So know your blood type, familiarize yourself with your individual specific diet related to your type of blood and achieve vitality, a new life within your body. I promise to use it only to send you Overcoming High Blood Pressure.